In this At Home with Martin & Sylvia story, " The Shortest Day," where Martin and Sylvia live, the nights are getting longer and the days are getting shorter. When Momma suggests they spend more time outside with the sun, brother and sister decide to invite the daylight into all their play. They go sledding, build fairy houses, do farm chores and build a bonfire all with an eye on the sun - celebrating its shortest day of the year. 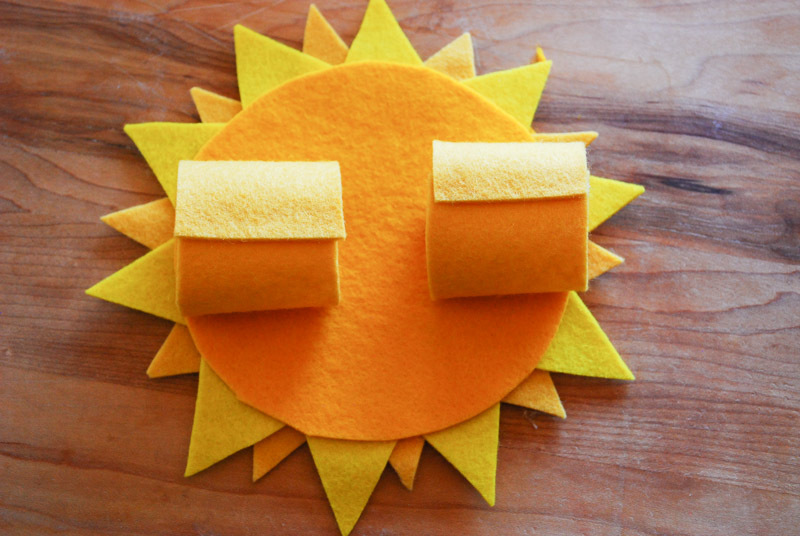 This craft is a perfect way to spend time with some sunshine even on the cloudiest days. For as long as I can remember, the day after Thanksgiving was a very special day in my house. We would pull out all the dusty boxes from the attic, put on some music, make a warm drink, and begin the process of decorating our tree. As I grew up, the ornaments I put on the tree changed from year to year; they went from being handmade, like salt dough snowmen and sparkly snow flakes, to things bought on our vacations – like a wooden Pinocchio figure from my first trip to Italy. The one thing we always placed on top was this little angel I made when I was four. It was cut from a magazine and backed with aluminum foil to make it shiny. We were not religious people so I’m not sure why we had the angel other than for tradition’s sake. Now that I am older and have children of my own, I’ve thought a lot about traditions, and especially what to put on top of the tree. 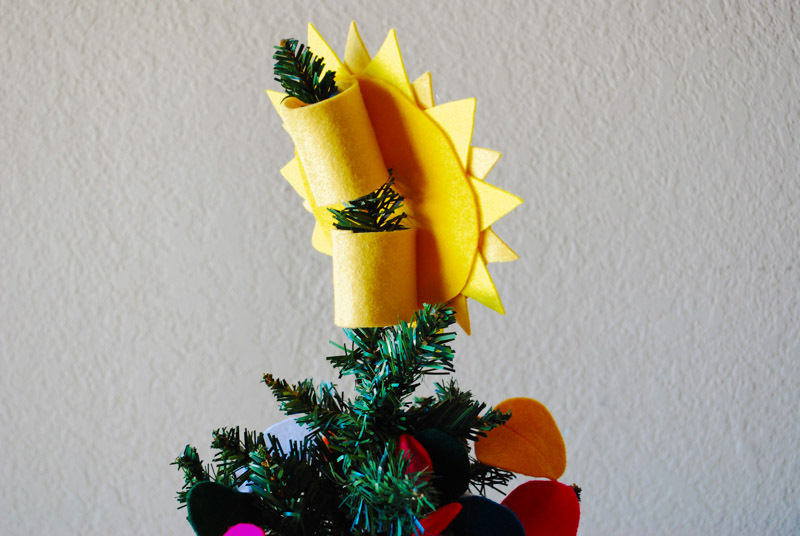 Since we celebrate solstice as our main holiday in December, I feel there is no better thing to top our tree than a sun! Living in the desert we spend a lot of our days with sunshine. Throughout history people who have celebrated solstice by decorating trees with oranges and candles to invite the sun to return and warm the earth. 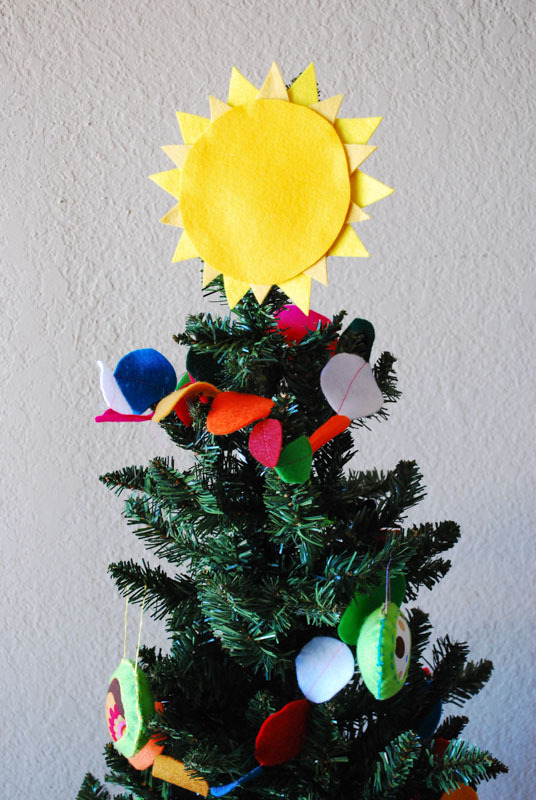 This sun tree topper is really bright and cheerful and will warm up any room with its vibrant color. As for tradition, in our home we hold off placing the sun on top of the tree until Solstice Eve; first we light our Yule Log and then place the sun on top of the tree and then turn the tree candles on – in the dark, for added dramatic effect. 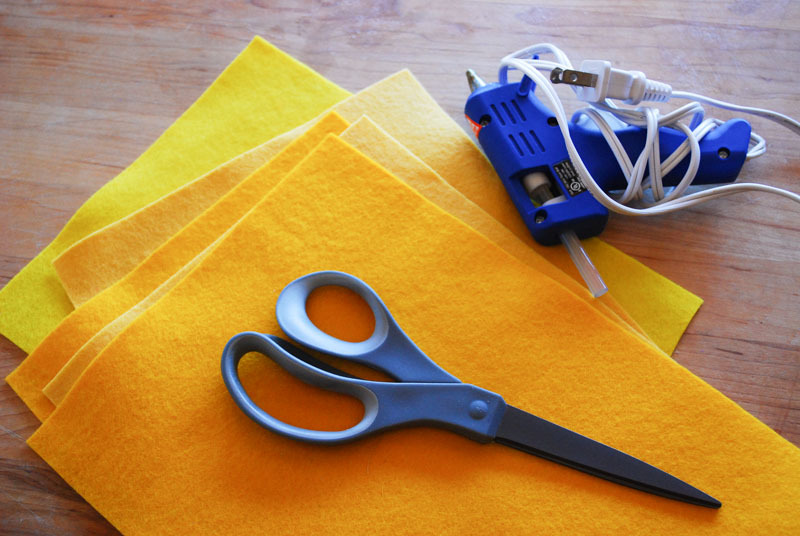 Start by plugging in the hot glue gun so it will be ready to go when you have all the pieces cut out. 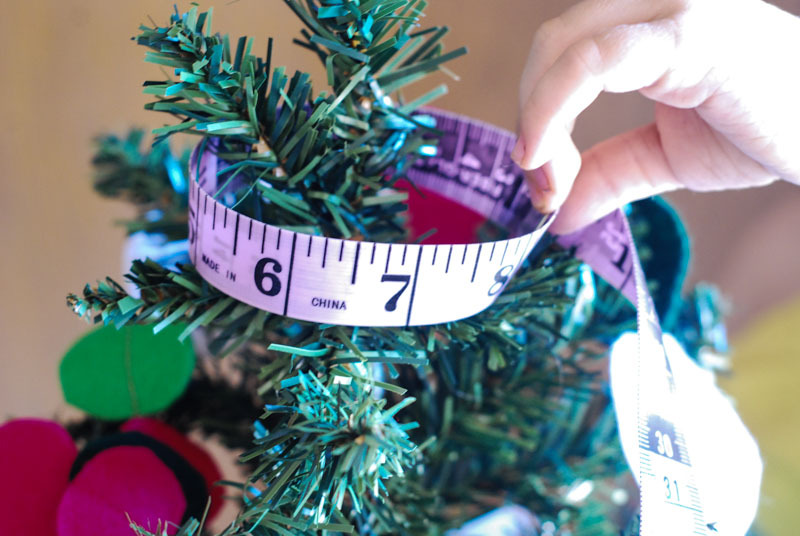 Measure around the top of your tree, allowing for enough space to slide the holding rings over the branch. I used my small tree for this, and it measured 6 inches. 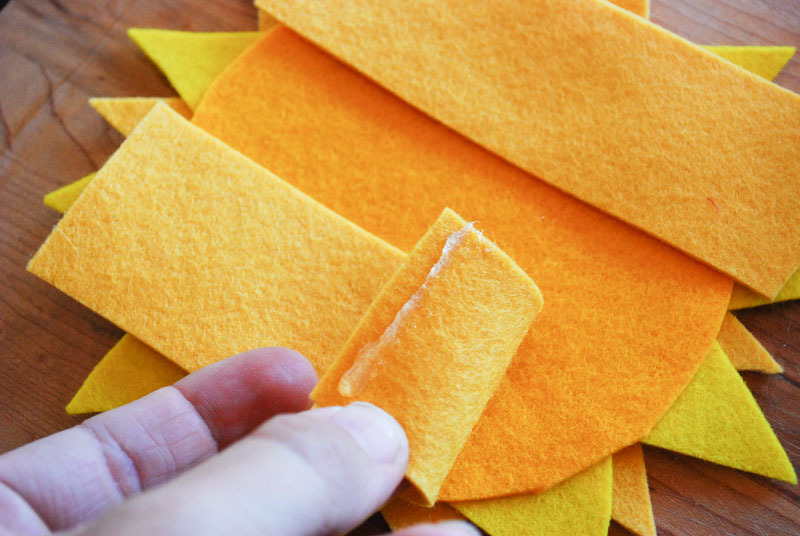 Then cut two pieces of felt to the length of rectangle you need. Next, decide how big you want the sun to be. I used the length of the top branch that sticks up from the tree to determine the size, then I used a bowl to trace a nice circle. Cut out two circles. 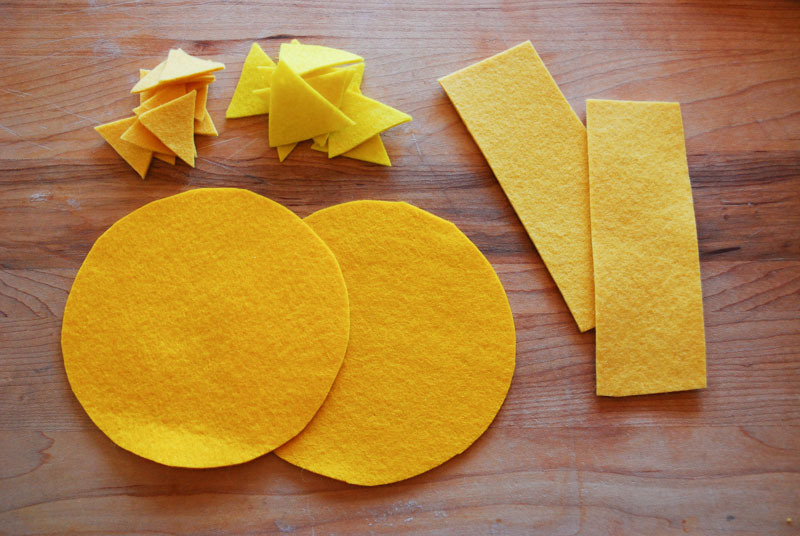 Then, cut up a bunch of triangles of two different hues of yellow – both dark and light – enough to line the whole circumference of the circle. 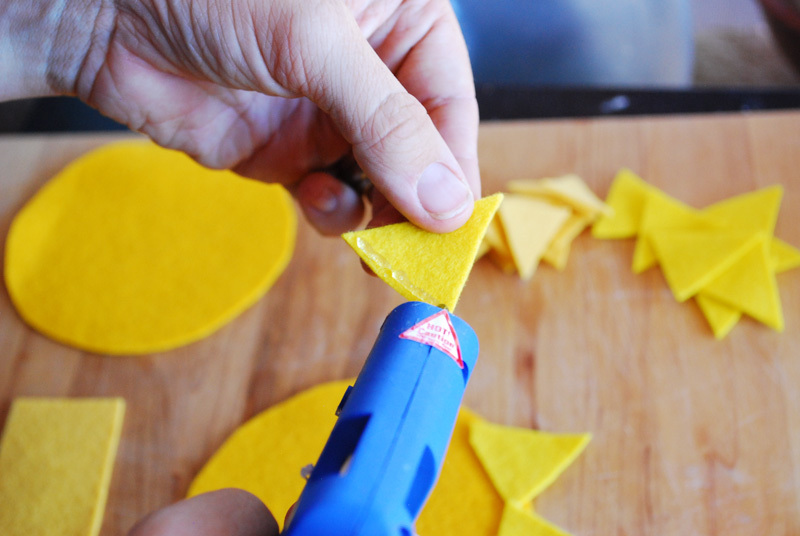 Starting with the darker hue of yellow, begin to glue each triangle down onto one of the circles. Run a line of glue along the edge of one triangle and place that down on the circle. Continue until you have filled in the whole circumference. Then repeat with the lighter hue, only place these triangles in between the spaces of the darker triangles. 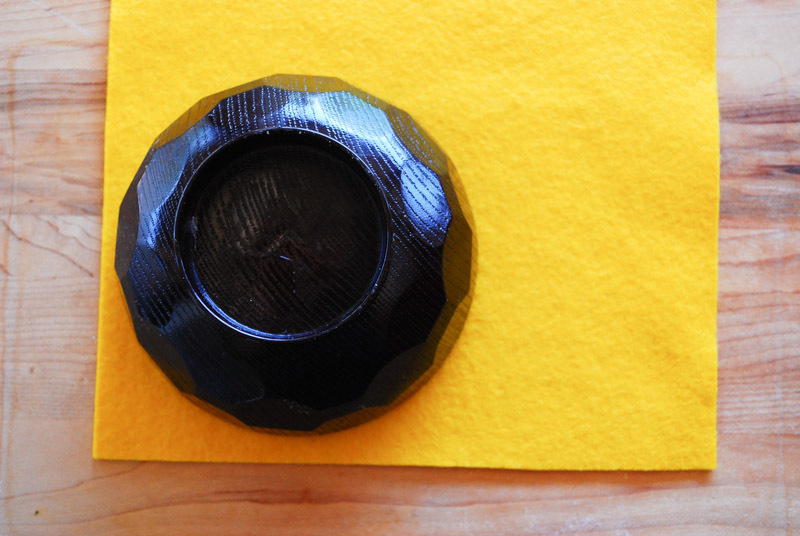 When all the triangles have been glued down, run a line of glue along the outside edge of the other circle, and then place it on top of the circle with the triangles. You are now done with the sun. Turn it over and attach the ring holders. To attach the ring holders, run a vertical line of glue down the middle of the rectangle. 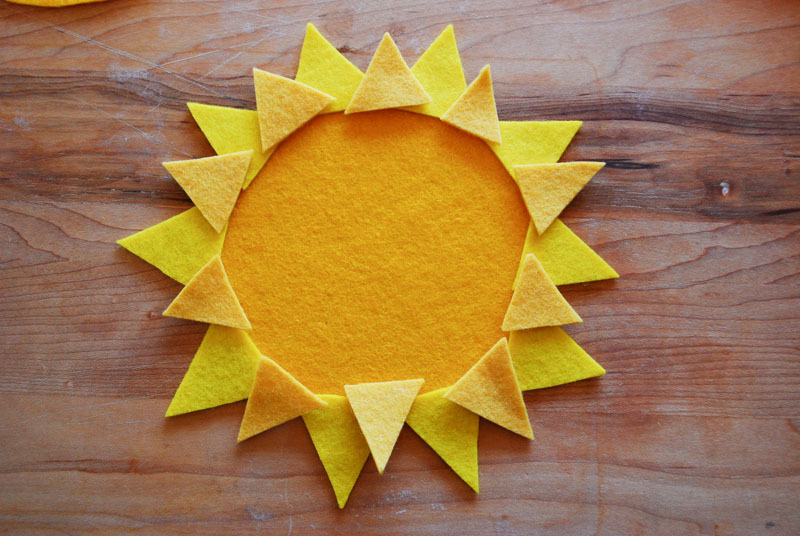 Place the rectangle glue-side down on the bottom center of the sun, then repeat with the other rectangle on the top center. 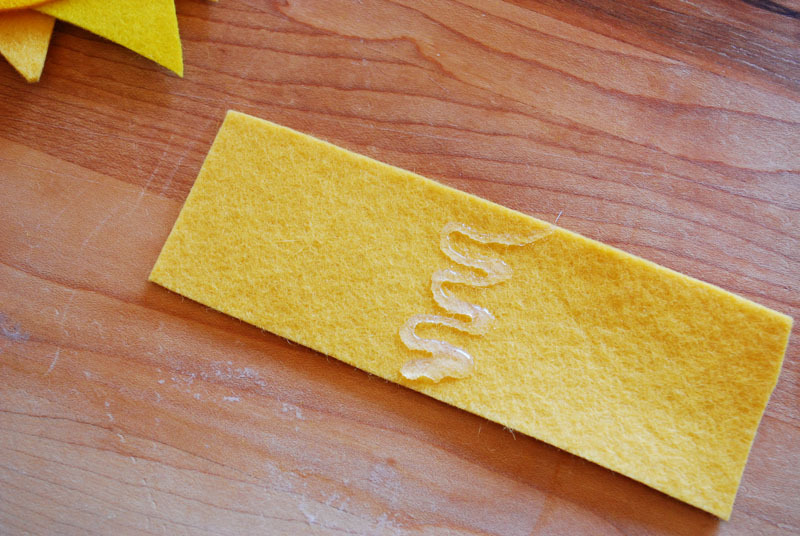 Now run a line of glue down one end side of the rectangle and close the loop. Repeat for the other loop. Now you are done! Check to make sure there are no strings of hot glue flying off. Place on your tree on Solstice Eve when you light your Yule Log and and enjoy!